Can you give your rabbit stuffed animals? 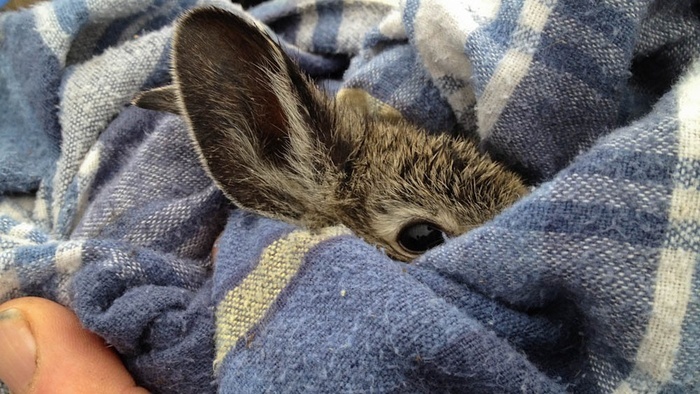 Rabbits are social animals. They need some sort of interaction (with humans or with another rabbit friend) when they are not spending time alone in their special place where only they can get. They also like to analyze corners, to have something to dig into, chew in or scratch. That is why most pet owners do not get surprised when they see pieces of papers scattered on the floor. They chew a lot and can sometimes get destructive because they are hyper when they have something to nibble at or play with. Rabbits even consider wooden furniture as good chewing toys! It helps them actually, as their teeth get to be sharpened with chewing and biting things. 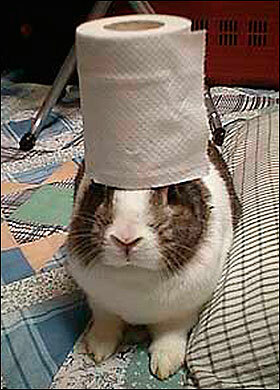 Leaving your rabbit alone would not be a good idea at all. It’s healthier for a rabbit to interact with other rabbits. He will not have an interactive playing experience with any other animal, though. 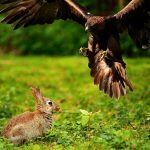 Leaving a rabbit with another animal can sometimes become a mess because they might just end up fighting. So it is strongly advised that you should keep an eye on the animals as they play so they won’t end up hurting each other. 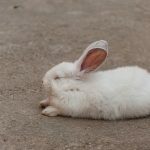 Watching them will also keep you from facing a whole of mess as rabbits tend to scatter their toys especially when they are playing with another animal. 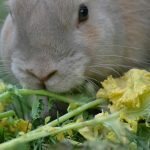 Now, if you want your rabbit to still enjoy without having to buy another rabbit or another animal, you can still settle with different playing toys. There are a lot of toys to choose from, ranging from chewing toys and even home-made toys such as phone books, wooden toys, cardboard boxes, soft towels and fleece blankets, paper bags, tissue boxes and many others. 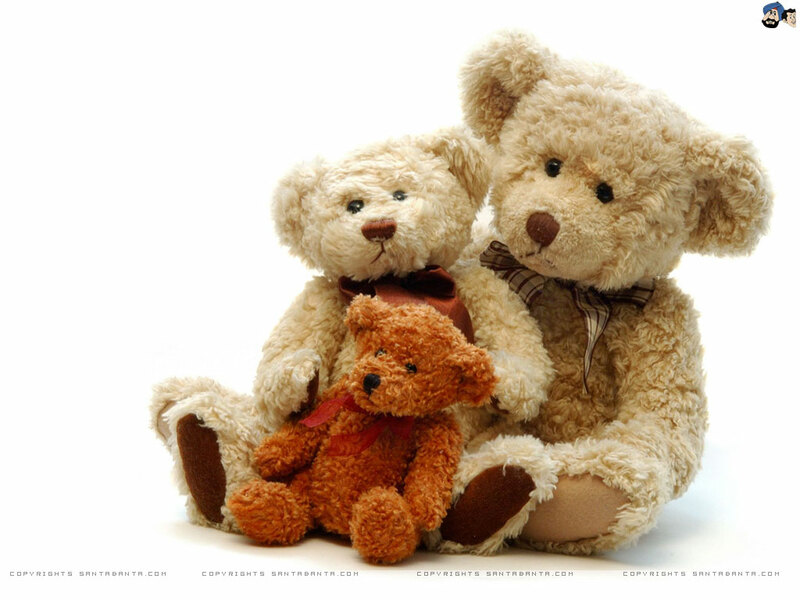 But the best thing to make up for a real animal playmate is none other than stuffed animals. Yes, because rabbits love playing with stuffed toys. 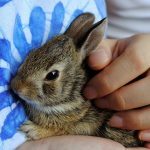 Rabbits know they are not real but the idea of having a stuffed animal which looks exactly like a real animal is pleasing to their eyes. When you leave your rabbit with a stuffed animal, he will surely enjoy bringing it around, tossing it and dragging it wherever it goes. 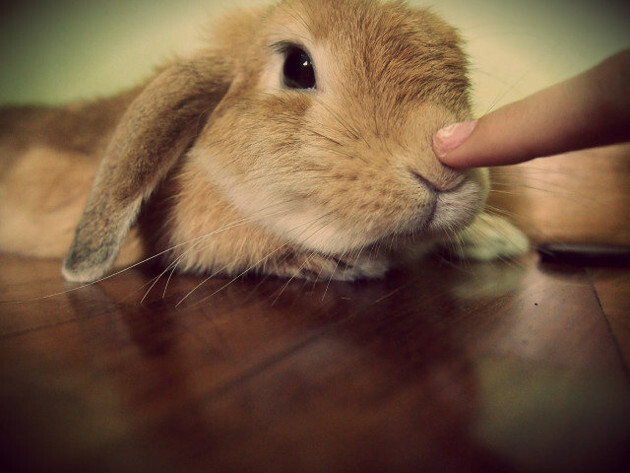 Rabbits enjoy pushing them with their feet or mouth because they get this feeling of being in control of the toy. It would be nice to buy them colorful stuffed animals so they wouldn’t get bored with it even if they play with it every day. There are a lot of stuffed animals to choose from pet stores but rabbits prefer smaller ones so they can carry them around the house. However, it is your responsibility as a pet owner to check the materials these stuffed animals are made of before buying them for your pet. It would be better if the stuffed animal is softer and lighter so your rabbit won’t have a hard time dragging it even with its teeth. It actually depends on what you want for your rabbit’s teeth. Giving it harder stuff will sharpen its teeth while if you want to wear down its claws and teeth, you can opt giving it softer materials. There are many designs to choose from. 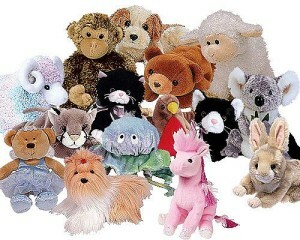 Among the most popular are stuffed birdies, stuffed cats, and stuffed mice. 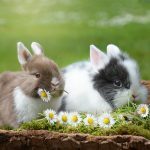 They are available in different sizes and colors and although they may be priced a little higher, they are worth it if you really want your rabbit to enjoy playing alone. It is also your responsibility to check whether your rabbit has been chewing or eating the stuffed animal you give him or her. Remember it is natural for rabbits to chew anything they get hold of. It’s okay to chew but if they get to bite the stuffed animal and swallow it, it would be hard for their system to digest the materials such as the fabric and the cotton inside the stuffed toy. They will have hard time breathing, will choke and will probably lead to some serious digestive illness. Be sure to give your rabbit the stuffed animal when you have all the time to look after it as it plays with it. Otherwise, give him or her chewing toys that are safe and non-poisonous. Giving your rabbit some toys is a treat for them and giving them the luxury to play even if they are alone will help them avoid stress. If you still want them to be active even without another animal to play with, be sure to give them the best and safest toys available. My sweet lop loves her stuffed dog and teddy bear!! Can I give her baby teething rings to bite on? Is it bad if my rabbit eats the stuffing? Will it cause intestinal issues?